All about Oura Ring. Is it better than Fitbit? In order to evolve and grow into a better us, we need a mentor. Someone who will keep track of our performance and show us the flaws and perfections we need to work on. In terms of our fitness, a mentor is a must. Be it the friend who recommended you a diet plan or a gym, or our trainers who keep our performance track. But being healthy is not just achieved through what we eat and the exercise we perform. Its our every day activities that finally decides how well we are treating our health. 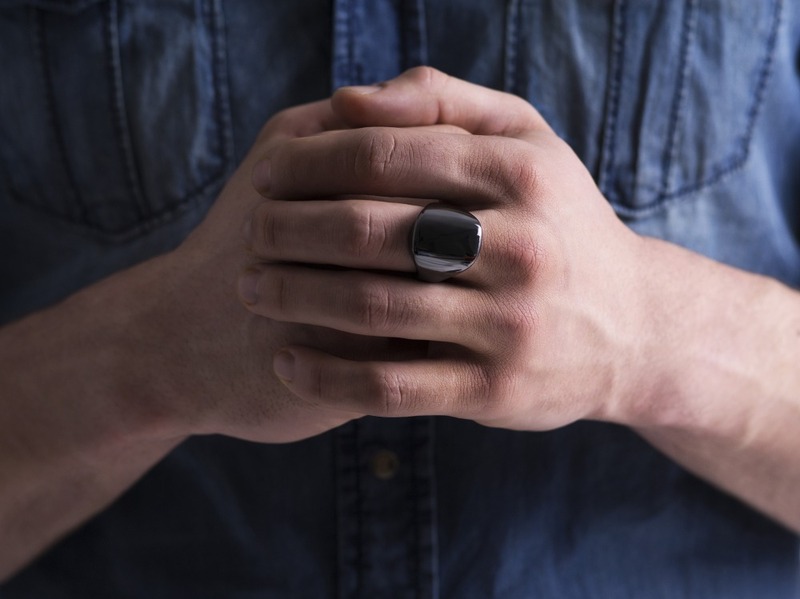 Since our busy schedules can be too much to look back to and track our daily chores, Oura Ring is here to help. The one activity that stands as a deciding factor of our daily chores is sleep. A good or bad sleep controls or psychological readiness, energy to start a day, appetite and more. Oura ring identifies the type of sleeping you perform or is habituated to. While we sleep, we can either go into heavy slumber or light nap with waking up quite often. Oura Ring senses each and every movement, from waking up during the night to REM(Rapid Eye Movement) sleep, analyzing the recharge of energy our body receives and uses throughout the night. Through its collected date, it can interprete how prepared our body and mind is to start a fresh day. This little gadget doesn’t need to be told to be in sleep mode before you hit the bed. As Oura Ring can automatically sense your activities as you perform them. Not only that, this nifty little ring can be connected to the Oura Phone App, storing in details of our ranges in heartbeat, pulses, breathing patterns and more, giving a full-fledged report every time you wish to be updated. By looking into the analyzed date next morning, we can be aware of how much of chores we can be able to perform for the day, and adjust accordingly. The algorithm of Oura Ring is to look into every detail of our everyday activities. This includes the number of steps we take, calories burnt, even when we sit or put our body to rest or laze. These all add up to how our bodies respond to daily activities. Oura Ring keeps a storage of our daily activities to help us improve our activities quality which renders better sleep, hence better recharge for the next 24 hours. Oura Ring is not a strict observer who keeps pushing you for your best, but an AI who helps you improve your performance through the activities that comfort you. Hence, encouraging you to care better of your system and soul than to push yourself towards better lifestyle out of hurry. This way, the activities we lead into, calculates the amount of sleep we need for optimum recharge. The ring puts forth the data so we know how much our mind and body require to rest in order to have zeal equal to the energy we use. Oura Ring understands the importance of our mental health and the impact psychological draining can have on our physical energy. Everything is taken into account as this nifty device provides you suggestions to perform certain activities that can help your recharging improved through sleep. This way, with our mental health kept in its data, oura ring works alongside us to refine the energy cycle. Our physical and cognitive activities are factors that contribute to understanding what kind of lifestyle suits our comfort. Oura Ring takes into account of mental health signals, sleep patterns, heart rate etc. to provide us a spreadsheet of how much we can do in a day. Hence helping us not overwork leading to lethargy and fatigue. It analyzes everything we do and provide a number in percentage(%) format that shows the readiness level of our mind and body. If our sleep is light and disturbed by noses or bad dreams, the Oura Ring senses it and provides us with the helpful information to keep our activities limited for that day. This is because our professional and personal lives can only be improved through understanding how much we can take in throughout the day. Deep sleep indicates better energy recovery while REM sleep shows proper mental energy recharge throughout the night. Our heart and nervous systems performance are also taken into account, thereby adding up and providing the knowledge of the kind of sleep, activities and improvements our system requires to be better us. This ring comes in sophisticated shades of matte black, white and rose. Not only that, before buying, you can always order for a fittings service where they’ll deliver a box of sample ring sizes for you to choose from. The non-metal and high-grade ceramic molding inside and out ensures your skin does not contact allergic reactions. Being waterproof and scratch proof, it gives off an elegant look which suits any attire you don it with, be it a formal night party-wear to office attire. The minimalist design is brilliant an idea so as to not stand out as an extra accessory on your style. Its durability and strength to withstand accidents or mishaps is thoroughly tested and has been fool-proofed for optimized performance for your betterment. The ring can sense its existence on your finger and will automatically turn itself off if you take it away. It comes handy with an instruction manual, import details and a handy charger that can be used anywhere. When it comes to the data, analysis and performance percentages that the Oura Ring calculates, the app is of great help. It helps you customize your aura ring and keep it to your comfort. The app stores about 3 weeks of data even if the oura ring is kept at Airplane-Mode, thus never having you worried about losing precious data. The app stores the interpretations of the ring and provides us suggested activities to improve our sleep cycle, hence our daily lifestyle. The summaries saved inside can provide us with helpful charts indicating daily improvement and chores we need to customize. In terms of usage, both these gadgets are top notch in quality. But FitBit can be a little draining to use. For starters, a FitBit’s battery longevity is maximum 4-5 days while Oura Ring’s battery sustenance can stay for 7 days with low energy consumption. While FitBit stays on and active, Oura Ring can be turned off or put into Airplane mode, giving you a moment of solitude when you need it the most. FitBit has also been optimized with sleep monitoring but through public usage, it has been revealed that the accuracy of FitBit might be dicey. On the other hand Oura Ring’s High Speed Processing and Efficient performance has gained its name for providing accurate details of your sleep rate, quality and improvement. FitBit comes with a green light sensor that beeps when active. Where as with its infrared lighting which is soothing and safe for our eyes, Oura Ring alerts us of its activities whenever needed. For a balanced and encouraging partner in the world of fitness, get yourself this petite yet beautifully powerful gadget that will help you take the right decisions when it comes to health and self-love.